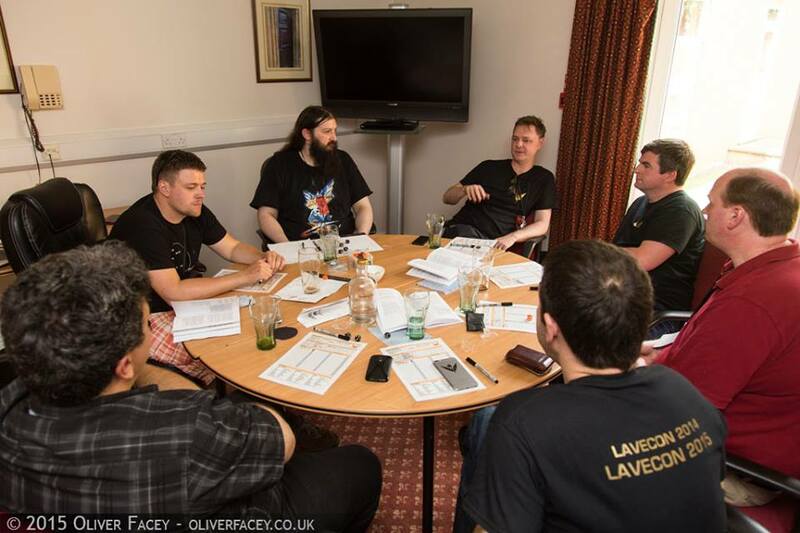 Lavecon is a growing event celebrating all aspects of Science Fiction and Fantasy with Elite: Dangerous at its centre. This annual event is a chance to meet up with fans, gamers, writers, developers and anyone else interested in Science fiction, Fantasy and Gaming. 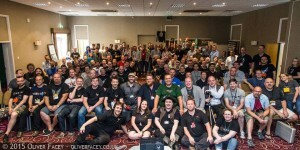 This year we had Board Gaming, Live Roleplay sessions and Jugger matches, Cosplay, LAN Computer Gaming, Tabletop Roleplay, X-Wing Miniatures, Readings from Authors, Chaos Reborn Tournament, Workshops, Demos and interactive activities, Oculus Rift, Q&A sessions, Talks, Panels, Special Guests and of course Elite Dangerous! So there was a little bit of something for everybody and Elite: Dangerous content in more than one theme! Representing Frontier Developments were Michael Brookes – Executive Producer, Chris Gregory, – Art Director, Sandro Sammarco – Lead Designer, Edward Lewis – Community Manager and Zac Antonaci and they really wowed us by bringing exclusive news, a personal message from David Braben and a totally unique Lavecon decal and skins just for the attendees of Lavecon 2015! It was also lovely to be able to relax and have a beer with the team with lots of informal chats. We also welcomed Mike Evans and Sarah Jane Avory (the Elite:Dangerous AI Queen) which was brilliant. Julian Gollop, CEO of Snapshot Games and Chaos Reborn came all the way from Bulgaria just to spend the weekend with us, which we were totally thrilled about. He gave lots of people advice in the Chaos Reborn Tournament and even joined in a game of XCOM the boardgame! Ian Whates, Author and Indy Publisher Newcon Press came along and had a stall of fabulous science fiction books, but also took part in a number of panels. Donna Bond (Scott), Chair of the British Science Fiction Association joined our Data Slate panel. 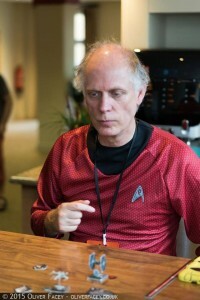 Tim C Taylor, author of the Human Legion joined us. 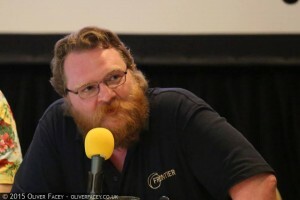 It was really great to get his perspective on the convention and how it compares to the traditionally literature orientated Science Fiction Conventions. He wrote about his experience here. Kate Russell, BBC technology reporter and Author, totally blew us away with her fabulous cosplay as Aislin Duval (one of the characters from Elite: Dangerous Powerplay) and her own fictional character Commander Angel Rose as well as a multimedia book reading. 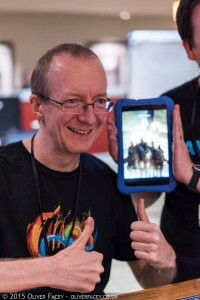 Lave Radio – Live from LaveconDataslate presented by Allen Stroud with Ian Whates, Tim Taylor and Donna Bond. Midnight Dockers – Warning Bad Language and Smutty Humour! You can also find the excellent Artemis recordings from John Richardson’s brilliant starship simulator. More information on Artemis can be found on the Starfleet Comms website. 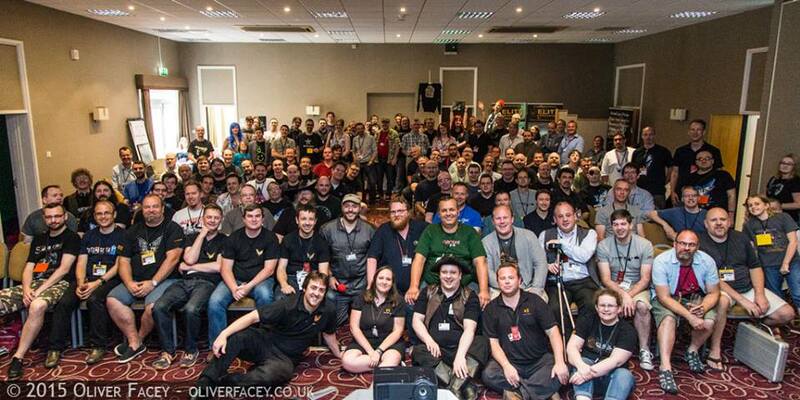 Still to be added… more information about all the wonderful activities, talks, panels etc, details of the Charity Raffle and how much we raised, about the venue and how fab that was! Fabulous photos by the lovely Oliver Facey Official Lavecon photographer.